Teapot is the need of every house and office. Most of the teapots are simple in design or sometimes just like another kitchen utensil. As making the tea is the main feature everyone looks for in a teapot. So if quality and material is good the shape won’t be attractive. And in case you go for some stylish or attractive shape you have to compromise with the quality and some other features. But what if you can have both style and quality in a single teapot? 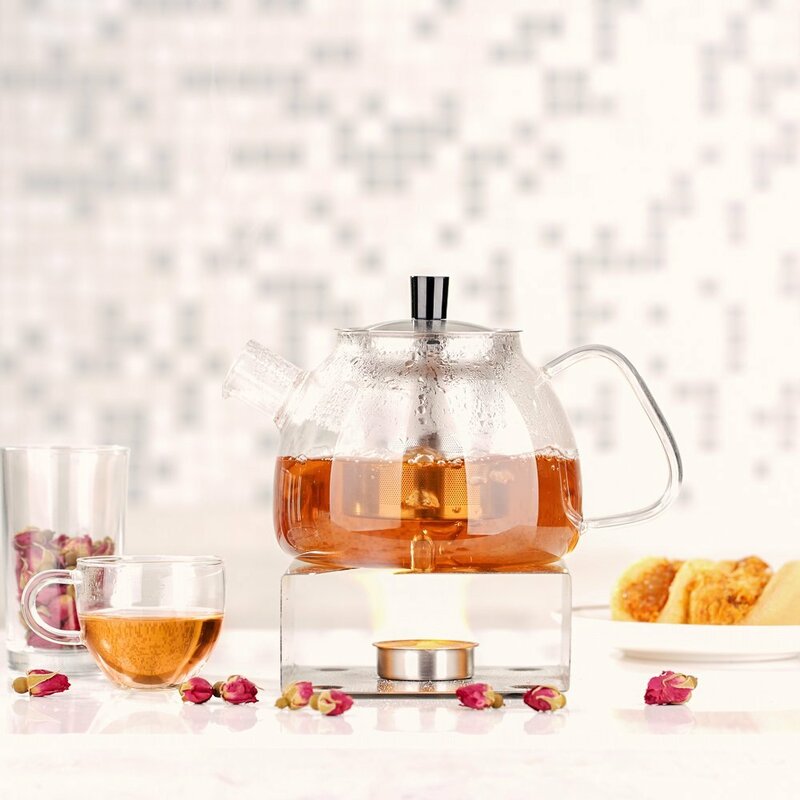 Ecooe Glass Teapot got all the features you will be looking for in a stylish teapot. The teapot has more than just presentable style, its actually attractive and highly fashionable. With the following features. Stovetop Heating is perfect for Tea brewing. Borosilicate glass is well-known for low rate of thermal expansion and high thermal resistance. It’s highly stovetop friendly teapot. Its Ultra-dense filter keeps any residues from escaping to your tea. It’s made of stainless steel, that makes his filter durable . It has capacity of 900ml that’s enough to provide roughly 2-3 mugs of water. It’s made of quality temperature resistant material. Ecooe Glass Teapot can handle instant temperature change from -30 ℃ to 150℃. It allows you to fill boiling water into the frozen teapot instantly. And the last thing that’s not only user friendly but also adds style into its design. Stylish and pleasant grip handle. It’s made wide and solid for a pleasant grip.